Love God. Make Friends. Play Tennis! On Sunday, December 16, the BCCTA family got together to celebrate all of the wonderful blessings God has lavished upon us during the past year. We’ve seen more and more kids join our Academy. We’ve seen more and more kids begin to climb the ladder and move from our Sunday “Fun Bunch” into our tournament training program. We’ve broken ground and are now ready to finish our new outdoor training facility. Things are looking for up for the kids and coaches of the BCC Tennis Academy! 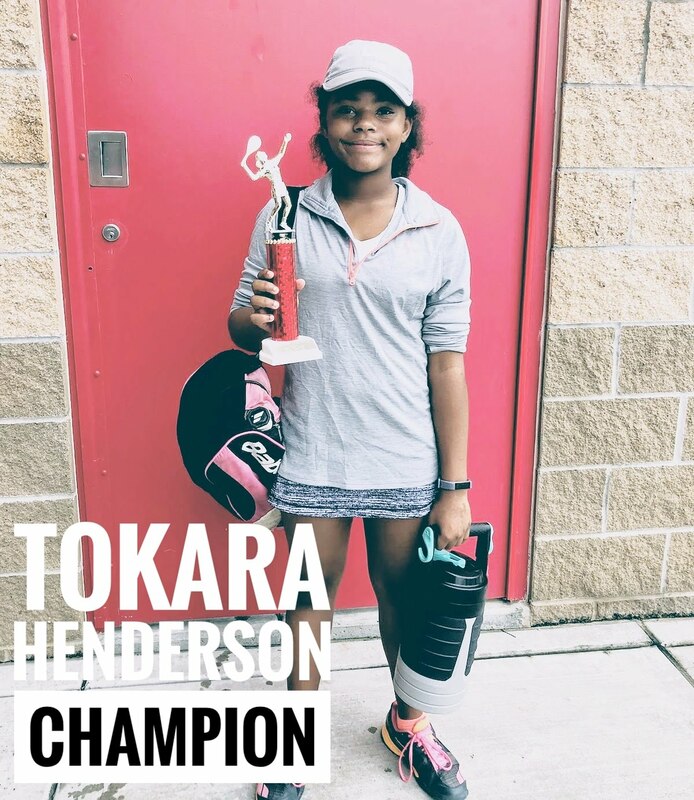 Congratulations to Tokara Henderson on winning her third straight USTA Missouri Valley Champs Circuit Girl’s Singles title today in Broken Arrow, Oklahoma. Tokara has won 7 matches in a row and 13 out of the last 14 matches. Tokara has been playing tennis with the BCC Tennis Academy since she was 4 years old. Now, still only in the 5th grade, Tokara is a leader for our younger kids who are working hard on the court and off to live out the motto of the BCCTA: Love God. Make Friends. Play Tennis! Congratulations Tokara. The kids and coaches of the BCCTA are so proud of you! This was a big, BIG week for the kids and coaches of the BCC Tennis Academy. The bulldozers came in and the work on the BCC Tennis Center began! 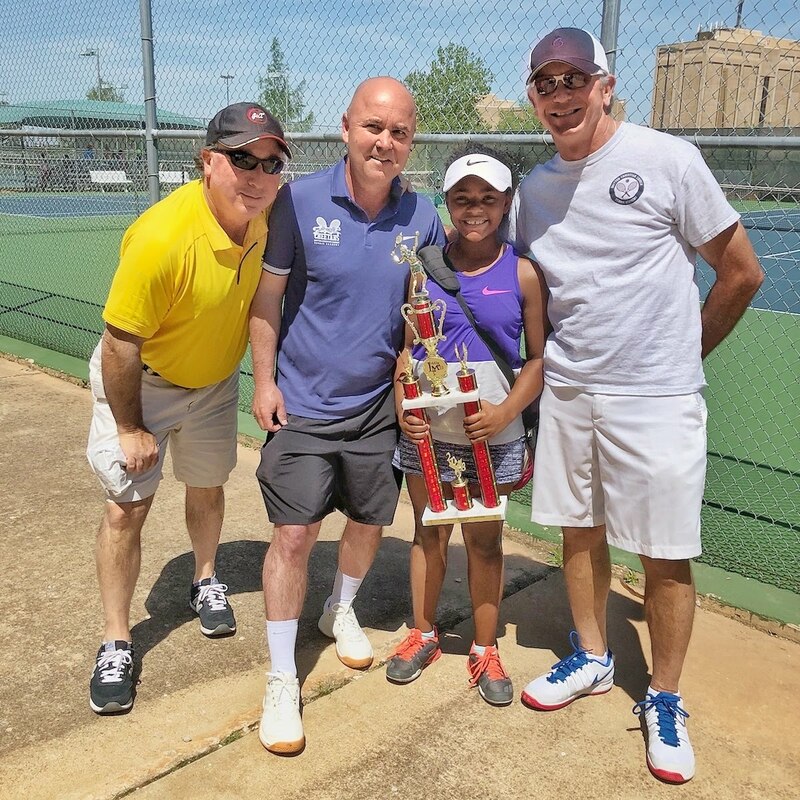 For the past several years we’ve been traveling to the OKC Tennis Center and The Kickingbird Tennis Center on Sundays for our Sunday “Fun Day” tennis. We are so grateful for our friends, Steve Henry and David Minihan, for all of their help in providing us a place to play tennis on Sundays. For the past year our leaders have been asking if it was possible to have our own tennis center, our own training facility for the kids of the BCCTA. Our leaders made the commitment to try and make it happen and our supporters responded with such amazing generosity! Once the BCCTA Tennis Center is completed it will be paid for in full. Praise God! Not only will we no longer have to travel to play on Sundays, but our older kids will be able to train throughout the week at our own training facility. In addition to these wonderful blessings we plan on creating new opportunities for those in our community to learn to play the wonderful game of tennis. Once the courts are completed you will all be invited to the dedication of our new training facility. It will be an afternoon of great celebration and humble gratitude for the grace of our God and the generosity of His people. Love God. Make Friends. Play Tennis! It was a great weekend for the BCC Tennis Academy’s Tokara Henderson as she captured the Little Mo/USTA Missouri Valley Championship in the Girl’s 11s draw at the Green’s Country Club last weekend. Good luck as you travel to Dallas, TX for the next round of competition! 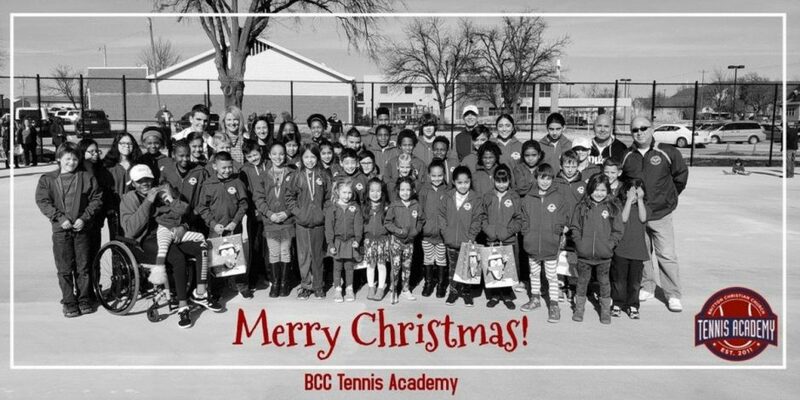 The kids and coaches of the BCC Tennis Academy are so proud of you!